Solidoodle Original Review 2019 - Is This Worth The Money? Glancing at the most popular 3D printers on the market, it’s easy to assume that they’re all very expensive. The truth, however, is that it’s entirely possible to find a relatively decent 3D printer at a reasonable price. Obviously they’ll likely compromise on functionality, but in general, they provide a good way to get into 3D printing as a hobby. Today we’ll see if the Solidoodle Original is one such model. It’s definitely affordable but the question remains: does it provide a high enough quality to justify spending your hard-earned money on it? Read on below to find out. 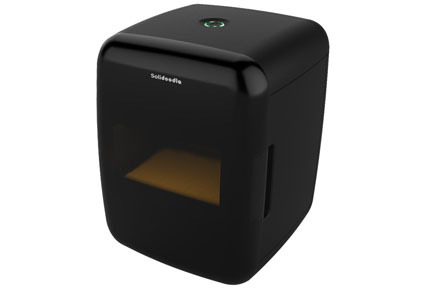 The Solidoodle Original has a fairly standard, cubic design. You might expect it to feature an enclosed build area, but that’s not the case, unfortunately. At the very least, it boasts a build platform far bigger than many comparable printers, at 10” cubed. 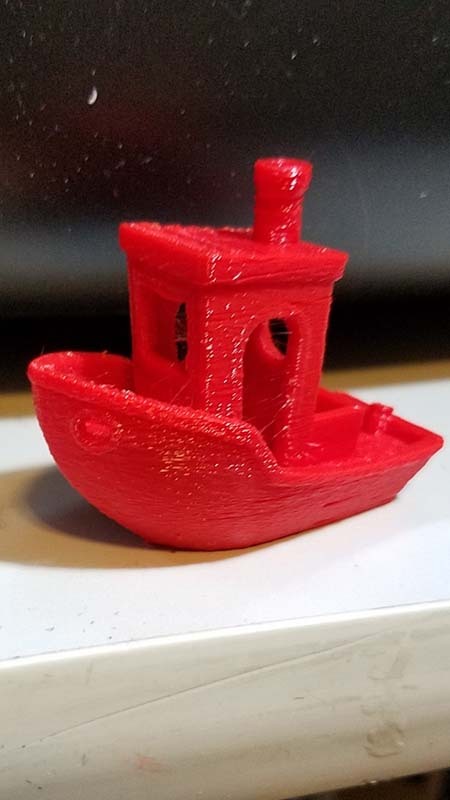 Honestly, most of the things you’ll print will be smaller than this, and you can always connect multiple prints if needed. We were particularly impressed by the heated build plate. This is something that’s pretty uncommon in entry-level 3D printers. 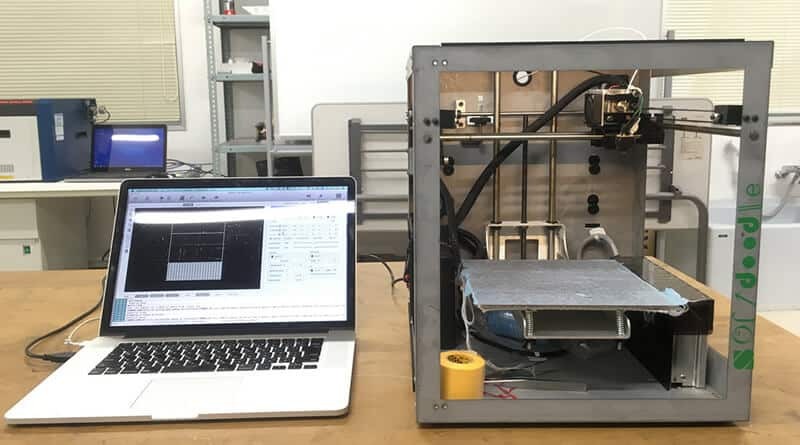 This means you’ll spend less time prying your models from the plate itself, and also reduces your running costs since you don’t have to buy adhesive tapes such as BuildTak. You’ve got to admit, though: the Solidoodle Original isn’t pretty. It’s a standard metal color, and there’s exposed wiring all over the place. This can be somewhat solved with tape and cable ties, but really, you’d expect better, even from a budget printer. This model produces alright, if unexceptional prints. On the other hand, if you try to print straight out of the box, you’ll find that your models look frankly terrible. There’s a fair amount of configuration needed in order to create anything even halfway decent. 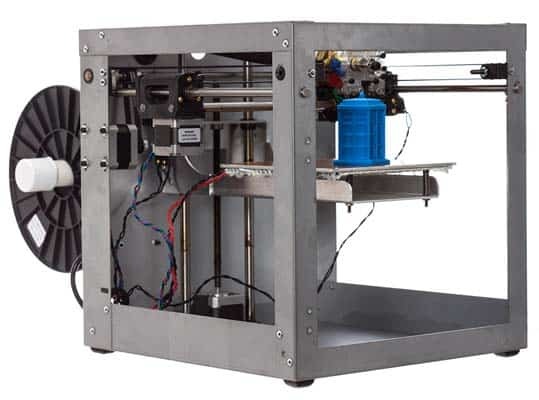 Usually, we find that low-cost 3D printers have a higher time cost, and the Solidoodle Original is no exception. It’s worth nothing that you’re limited to ABS, too. 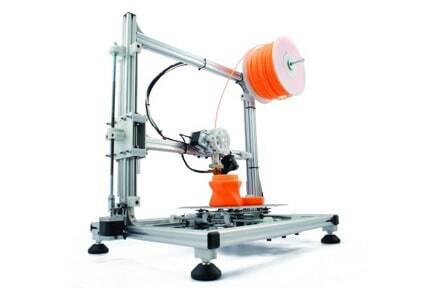 Almost every 3D printer we’ve seen supports PLA filament but that’s simply not the case here. This leads to a secondary complaint: unless you make or buy an enclosure, this model’s open design make it difficult to maintain a consistent temperature, something ABS is heavily reliant on. 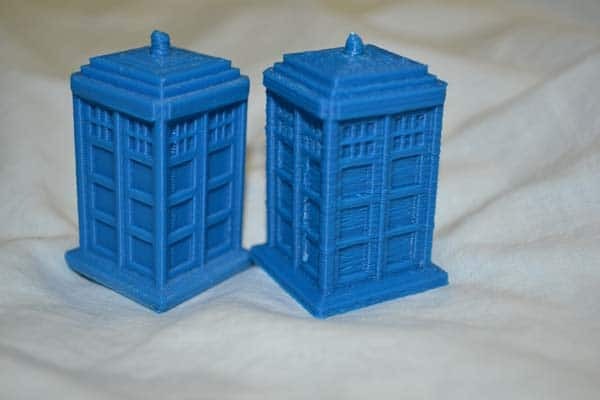 The image above shows the same model printed by a Solidoodle Original (left) and a Prusa i3. That said, it while it shows a vastly superior model from the Solidoodle, a properly configured i3 beats it in almost every way. There really isn’t much advanced functionality present. For instance, bed-levelling still has to be done manually with a card. Further, the only way to connect is via USB; there’s no SD card slot or WiFi/Ethernet compatibility. As such, you’re required to have this printer fairly close to your PC at all times. On the plus side, the various components are easy to upgrade. 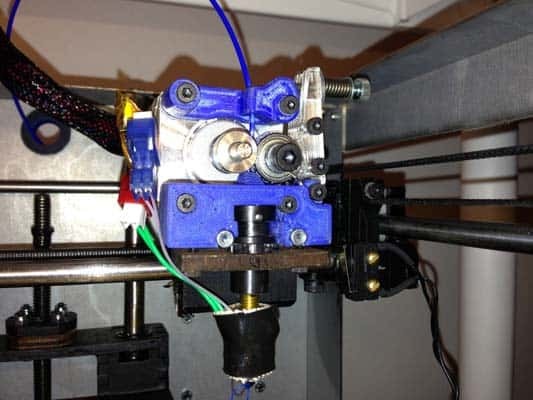 Take a look at the image below: it shows a modded Solidoodle Original with sturdier extruder parts. This is fortunate, since the original components are incredibly fragile, with some consumers reporting that their parts broke far too easily. You might be thinking “So it has a few problems, but it’s cheap so that’s to be expected”. Let us make this very clear: even at $600, this printer is spectacularly overpriced. For the same amount, you could find a far superior model with a greater range of supported materials, auto-leveling, and possible even WiFi support. Besides, you’re not just paying $600. There’s also the price of an enclosure and filament. 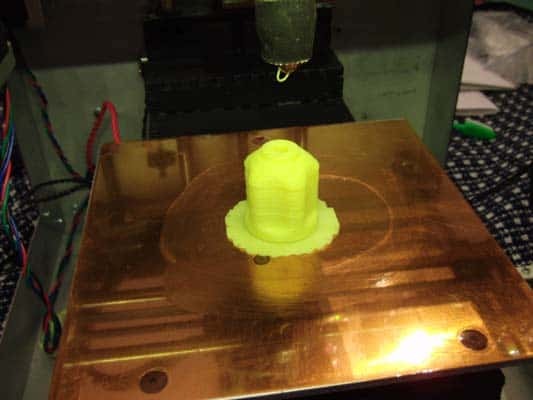 Yes, ABS is pretty inexpensive but take a look at the image below: see how much filament has been wasted? Finally, there’s the fact that this model isn’t capable of professional, or even prototype-quality prints. It’s essentially a “just for fun” printer, but regrettably, you’re more likely to find frustration. Perhaps unsurprisingly, Solidoodle are no longer trading. As such, you can’t buy this printer directly from them, and their website has been stripped of much of its content. There is a dedicated GitHub account with Solidoodle design files, though, and the site still hosts different versions of Soliprint for users who may have bought their printers second-hand. It’s important to note that if you buy from a third-party supplier, you’re subject to their warranty terms. Still, there’s an official support forum to help out if you run into any issues. We’ve got to give Solidoodle some credit here: even though this printer is poor and the company is bust, they’re still looking out for their customers. They could do more though. We usually find detailed manuals, troubleshooting guides, and model-specific FAQs on official websites. Solidoodle clearly hasn’t abandoned their website, so it’s unclear why this material is no longer available. 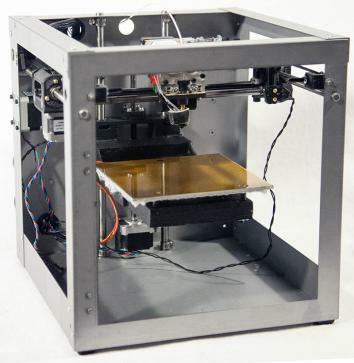 Now that you’ve read about the Solidoodle Original 3D printer, are you still looking for options? 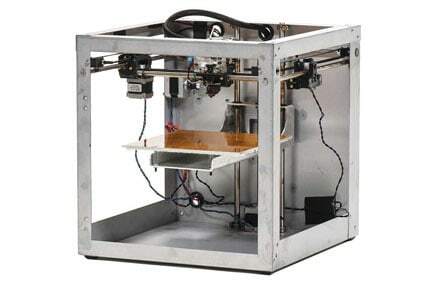 Check out our guide on the best 3D printer here. Don’t be tempted by the Solidoodle Original’s low price: it’s more trouble than it’s worth.